Every year since 1976, Congress has approved and the president has signed into law the Hyde Amendment. Named after its original sponsor, the late U.S. Rep. Henry Hyde, this crucial prolife legislation prevents most tax dollars from paying for most abortions. The purpose of the Hyde Amendment is protecting the conscience rights of a majority of Americans who do not want to be forced to provide abortions through their tax dollars. The Hyde Amendment has a critical added benefit of saving lives, millions of them. The Hyde Amendment applies to federal tax dollars, but states can still fund abortions directly. Michigan banned state tax-funded abortions in 1988, and that legislation caused abortions to drop 10,000 in a single year. Since then, tens of thousands of more people are alive today and unaware that this single law saved their life. The Hyde Amendment has become a campaign issue in the presidential election. Hillary Clinton has promised to repeal the Hyde Amendment, forcing every prolife taxpayer to directly fund abortions. Donald Trump has promised to make the Hyde Amendment a permanent law rather than an annual provision added to the budget. The Hyde Amendment was challenged in the court system. The U.S. Supreme Court ruled 5-4 in 1980 that the Hyde Amendment is constitutional. There is nothing in the U.S. Constitution requiring taxpayers to be forced to pay for abortions. Despite that, there would be nothing to stop five pro-abortion justices from suddenly “discovering” a provision in the Constitution striking down the Hyde Amendment, imposing tax-funded abortions through judicial tyranny. If the Hyde Amendment is repealed or overruled, then millions of unborn children could die as a result. Take a moment Friday and make a stand for your conscience rights and the life of innocent children in the womb! Remember StemExpress? The middleman between Planned Parenthood and research institutions? The organization that is responsible for buying and selling aborted baby parts? The House Select Panel on Infant Lives voted on September 21 to hold StemExpress in contempt of Congress for failing to comply with subpoenas. "The vote came after the Democratic opposition on the subcommittee tried every tactic it could to stonewall the process–then walked out of the proceedings in protest. Because a quorum was present, Republicans were able to pass the resolution 8-0." The Select Panel requested accounting records from StemExpress, but they were only provided with inadequate summaries. The Select Panel issued subpoenas to require compliance. StemExpress told the Select Panel to contact their accountants, but two accountants, the Scinto Group and Sara Lee Heuston, refused to comply. Heuston even threatened to call the police if the Select Panel contacted her again. Cate Dyer, the CEO of StemExpress, refused to give the names of her current accountants. It has been eight months since the documents were first requested. The Chairman of the Select Panel, Rep. Marsha Blackburn says they have reached an impasse. What happens next? The resolution will be referred to the Committee on Energy and Commerce and if approved will move to the full U.S. House for a vote. If approved, the contempt charge will then be referred to the Obama Administration to bring before a grand jury, which is unfortunately not likely to happen given President Obama's close relationship with Planned Parenthood. If convicted the charge carries a maximum penalty of $100,000 and is a Class A misdemeanor. StemExpress is a for-profit company, working hand-in-hand with Planned Parenthood, covering up the unsanitary conditions of their clinics, and receiving a high volume of aborted babies from them, including babies born "intact." It is obvious that StemExpress has something to hide, something that will show the world that Planned Parenthood will place their bottom line and buying Lamborghinis above the priorities of the women they claim to serve. 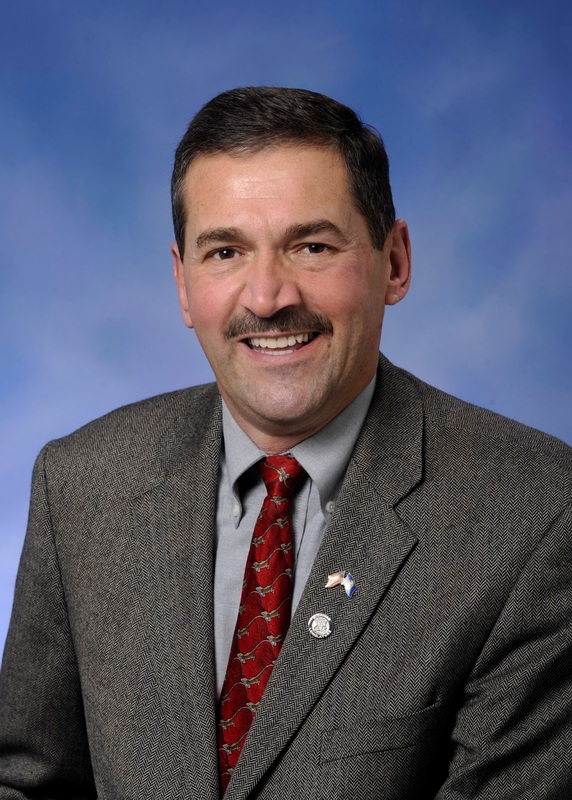 State Representative Peter Pettalia was laid to rest today after his tragic death in a motorcycle accident on September 12. Peter was not only a dedicated prolife legislator, he was kind man of integrity and good humor. He was a statesman, respectful to all, and never lorded his position or authority over anyone. Most importantly to the cause of the unborn, he maintained a 100% prolife voting record. He would routinely be seen around the Capitol sporting a pair of prolife “precious feet” on the lapel of his suit coat. That is not common among prolife legislators. He was never "too busy" for our cause and would periodically ask our RLM lobbyists, "Is there anything you need me to do to help move prolife legislation?" His commitment to life was true and sincere. We honor the prolife service and memory of Representative Peter Pettalia. Well done good and faithful servant. Join us next week on Tuesday, September 13, at 11:00 a.m. for a teleseminar update on legislation and our Conference. Right to Life of Michigan Legislative Director Ed Rivet will discuss the new bill to legalize doctor-prescribed suicide in Michigan and provide an update on other pieces of prolife legislation that may see action before the end of the session. Conference Coordinator Jessi Engelsma will give a short preview of our 43rd Annual Right to Life of Michigan Conference on September 22 in Lansing. The teleseminar will last 20-30 minutes. It’s open to all prolife people, feel free to share this information with your Michigan friends and family members. We are looking forward to connecting with you on Tuesday, Sept. 13, at 11:00 a.m! The location has been confirmed in the case of the young Battle Creek woman who died on July 4 after having an abortion. Cree Erwin, 24, had an abortion at the Planned Parenthood facility in Kalamazoo on June 30, 2016. She likely passed away at some point late in the evening of July 3, roughly 24 hours after visiting a nearby emergency room complaining of abdominal pain. Her mother found her unresponsive and emergency responders pronounced her dead at the scene in the early morning hours of July 4. It has also been confirmed that Planned Parenthood abortionist Laura Denise Castleman provided Erwin with a prescription for a pain medication that was to be filled later at a separate pharmacy. It remains unclear whether she actually conducted Erwin’s abortion, or if that was done by another Planned Parenthood abortionist. Details from Erwin's autopsy have not yet been released. This news comes at a time that Planned Parenthood has threatened to sue the state of Michigan in order to get rid of our state's abortion clinic health and safety regulations. Before the regulations were updated in 2012 most abortion clinics in Michigan had never been inspected, and several closed after being unable or unwilling to meet the basic standards of other outpatient facilities.